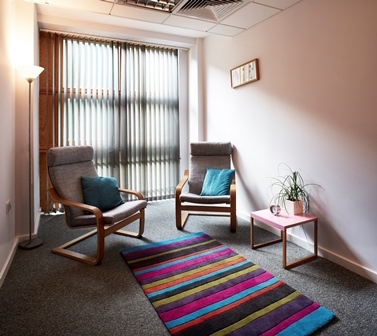 The Gestalt Centre have therapy rooms, meeting rooms, conference rooms, consultation rooms and training rooms for hire in London. We’re located in the heart of London near to Kings Cross and St Pancras Stations, with over 5,000 square feet of space, including three large training rooms, fifteen therapy rooms, our administrative offices, reception, a student library and a refreshment area. 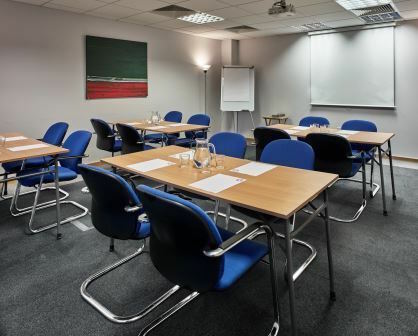 The venue is ideal for London-based individuals or organisations needing an off-site venue or those outside the city requiring a central meeting place. 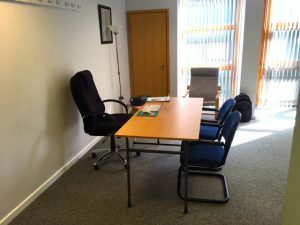 You can hire space on a monthly or weekly basis as well as for weekends or even by the hour for small conferences, training groups, team meetings and individual consultations. The room layout can be varied to suit specific requirements, from a formal boardroom or lecture arrangement to an informal circle of chairs or even floor cushions. Our wide range of business training facilities include: Wi-Fi, photocopier, laptop, data projector, fax, DVD player, and speakers. Self service tea and coffee are available free of charge at any time. Breakfast, lunch or supper can be provided to suit individual tastes. 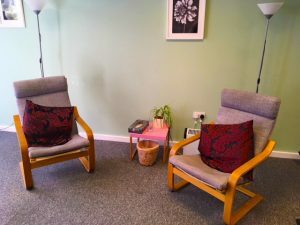 Our therapy or practitioner rooms are perfect meeting rooms for a consultation, an interview, a therapy session, a syndicate or small discussion group. Seating a maximum capacity of 3 consulting-style, the brightness and natural light make a vibrant and positive environment, creating the perfect atmosphere for a meeting to be creative and productive. Facilities included in this room are uplighters, flipcharts and markers/pens. Other equipment can be arranged on request. The Bunhill Room in boardroom configuration. 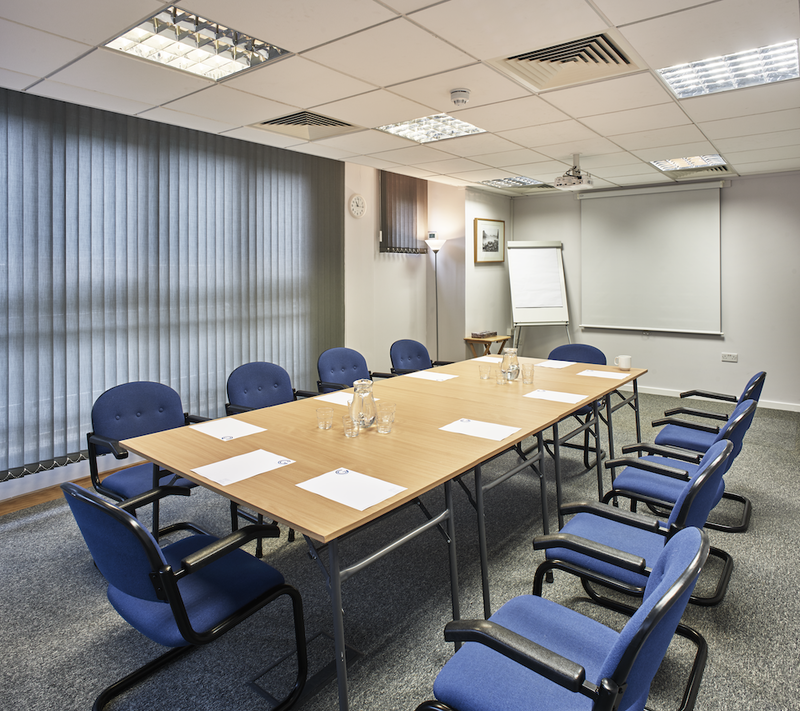 Bunhill Room is ideal for training sessions and meetings. With a capacity to seat up to 25 chairs theatre style or 17 in a circle, this room can also be set up to suit the specific needs of your event. Facilities included in this room are ceiling mounted projector, projection screen, and flipcharts. All other audiovisual equipment can be arranged on request. The Conference Room is a spacious meeting room with a maximum seating capacity of 40 theatre-style or 24 in a boardroom setting. This room, swathed in natural light, creates a mood ideally suited to productive work. Warwick Room is perfect for a meeting or workshop of 16-25 people and makes an ideal training room. With a maximum seating capacity of 25 theatre-style, this room with its big windows and natural sunlight is well suited for a meeting of up to 16 boardroom-style. Facilities included in this room are ceiling mounted projector, projection screen, and flipcharts. Other equipment can be arranged on request. 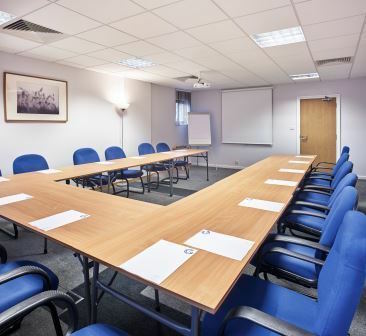 Camley Room is perfect for a small meeting or workshop of 6-15 people. With a maximum seating capacity of 15 theatre-style, this room with its big windows and natural sunlight is well suited for a small board or committee meeting of up to 6. Facilities included in this room are flipchart and CD player. Other equipment can be arranged on request. The communal Refreshment and Reception area is available to be used during any break. Included in all our rates are Fairtrade tea and coffee, plus a wide selection of herbal teas. These are self-service in the Refreshment area. Additional catering, including breakfasts and lunches, is available and can be arranged to suit your needs. Platters of biscuits can also be provided for your breaks. Please read Meeting Room Hire Terms & Conditions. For more information, please contact our Events and Venue Coordinator, Lynn Major, by calling 020 7383 5610 or via the contact form.